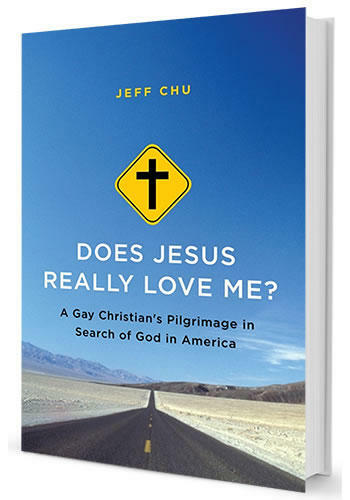 Monday, Doug’s guest is journalist Jeff Chu, author of the book “Does Jesus Really Love Me?” Chu calls himself a gay Christian. He was raised deeply Baptist and it was the commandment, “Thou shalt not lie,” that encouraged him to come out of the closet. Chu wanted to understand the complicated relationship between faith and sexuality, so he spent a year interviewing more than 300 people around the US – straight, gay and in-between. He joins us to explain why he says we’re a county that wants to love, but is conflicted about how to do so. Monday at 7:00 p.m., Jeff Chu will give a reading at The King's English Bookshop in Salt Lake City. For more information, call the store at 801-484-9100 or click here. Jeff Chu has written and edited for Time, Conde Nast Portfolio and Fast Company. Does Jesus Really Love Me? A Gay Christian's Pilgrimage in Search of God in America is his first book.